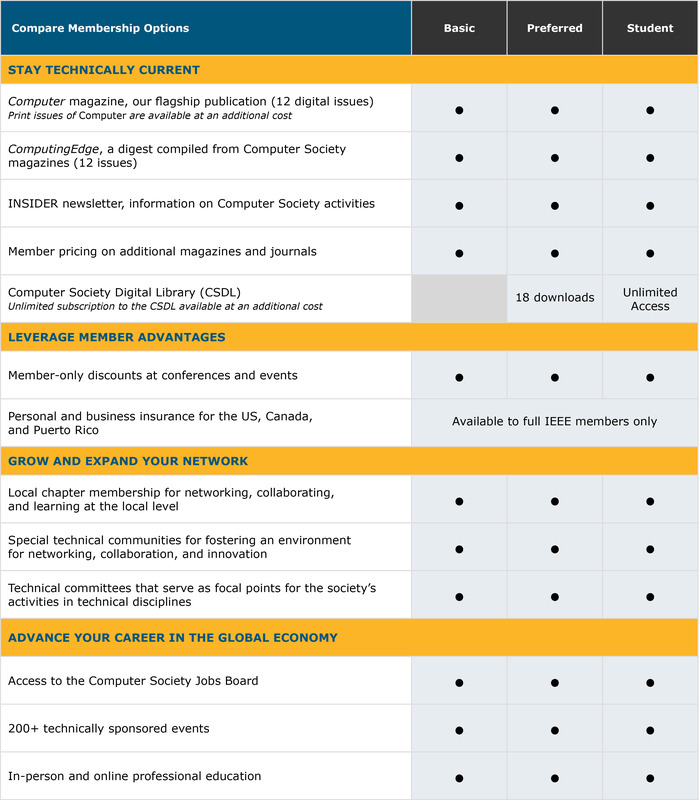 Grow your career with membership in the IEEE Computer Society, the world’s leading organization of computing and information technology professionals. All major areas of computing and information technology: computer hardware, software, security, AI, multimedia, IT, networking, mobile computing, and more. Four membership options are available for corporate and academic professionals and students. Please scroll down to see the list of featured publications available to Society members.